MicroSD card and battery (CR1220) are not included! The CAN Bus section incorporates dual CAN transceivers required by the two integrated CAN ports on the Arduino Due, i.e. they convert the CAN TTL signal into a differential voltage as required by the CAN Bus Standard (ISO 11898). 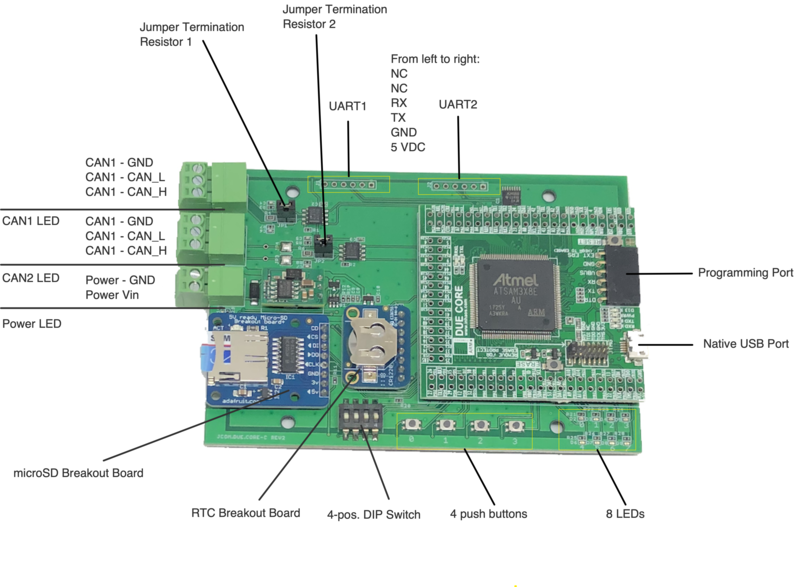 The jCOM.DUE.CORE-C board is powered either by the USB port connection (either the programming or native USB) or through an external power supply supporting an input voltage of 7 to 36 VDC. Compact size: All components are put on a 54 x 58mm 4-Layers PCB. All IOs are connected to a 116-pin 2.54 standard connector. Easy to use: All IOs are connected to 116pin 2.54 standard connector. It requires only a 5 VDC power supply to make it work. Stable design: High-quality 4-layer PCB layout, two 5V to 3.3V LDO onboard, one for digital and one for analog processing. Separate AVCC and AGND, to ensure optimum analog performance. 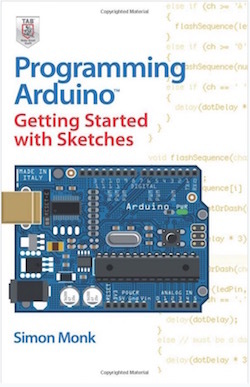 Easy to set up the development environment: Uploading sketches through standard 6-pin UART interface, standard Micro usb connector, full use of existing resources. User-friendly design: Rich LED status indication, two onboard buttons, one is for MCU reset, and one is for Flash Erase. Unique jumper erase protection against the flash erased by mistake. Rich resources: All IOs are available for the user. The onboard I2C EEPROM is designed to compensate for the shortcomings of the standard SAM3X8E, which has no built-in EEPROM. Further sample programs will added over time. Click the button below to add the Arduino-Due-Based Dual CAN Bus Interface With RTC And Micro SD to your wish list.